Frontline Plus Spot-On Cat is a double action spot on treatment with active IGR technology that not only helps protect cats from fleas and ticks it stops flea eggs from hatching and larvae from developing in the home. Just killing fleas and ticks isn't effective enough to solve the issue. 95% of a flea problem comes from eggs, larvae and pupae (cocoons) that are in your pet's environment. 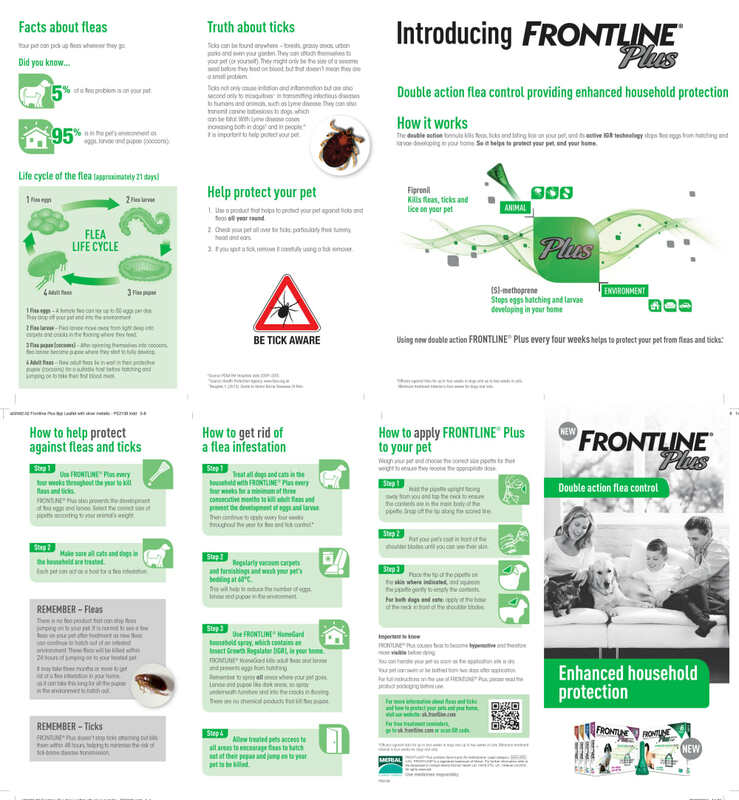 FrontlinePlus contains IGR technology targets flea eggs preventing them from hatching. This enhances the house protection, breaking the flea life cycle while protecting your cat. Protects the pet and the home. Kittens should be at least eight weeks old and weigh at least 1kg before you use FRONTLINE Plus Spot-On Cat. Do not use on sick or convalescent animals. Do not use on rabbits. Can be used during pregnancy and lactation. Please do not use on rabbits. Excipients: Butylhydroxyanisole (E320) 0.10 mg Butylhydroxytoluene (E321) 0.05 mg For the full list of excipients, see below. The product should not be used on ferrets less than 6 months old. Protect your cat from fleas by administering this treatment once a month. It is recommended that you also treat your home if your cat has had fleas. This will help to prevent a reinfestation. My Kitties are important to me and their well being is a top priority. 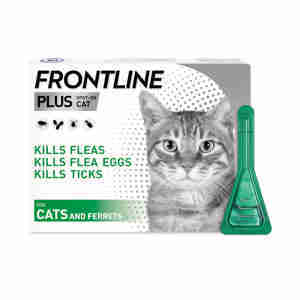 I use Frontline plus because it does everything it claims...I would happily recommend it...for flea free kitties it has to be Frontline plus...it is Spot On. 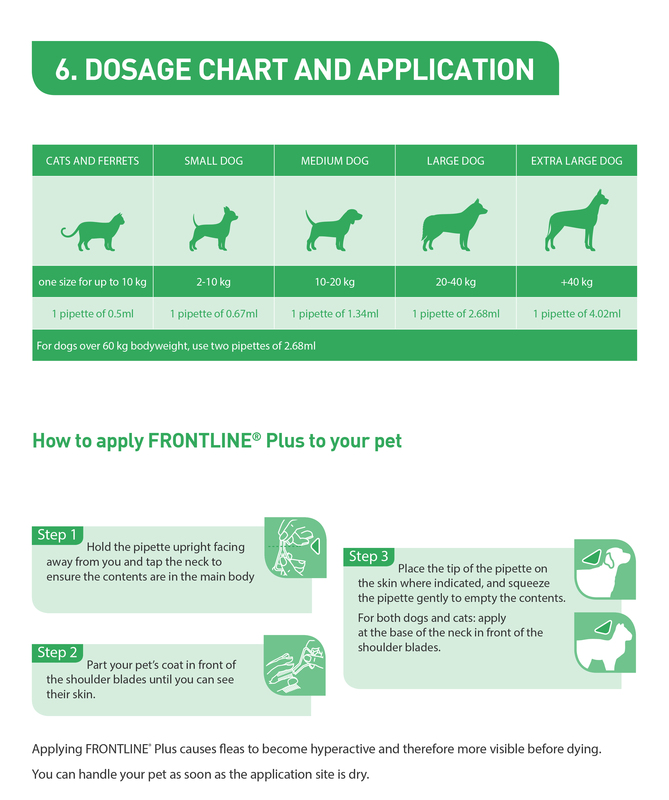 Ive always used Frontline for my cats; its effective and almost painless to apply. Rapid service. Great product that does exactly what it says. Will kepp buying.